Your Master Data Is a Graph: Are You Ready? The future of Master Data Management is deriving value from data relationships which reveal more data stories that become more and more important to competitive advantage as we enter into the future of data and business analytics. MDM will be about supplying consistent, meaningful views of master data and being able to unify data into one location, especially to optimize for query performance and data fit. Graph databases offer exactly that type of data/performance fit. 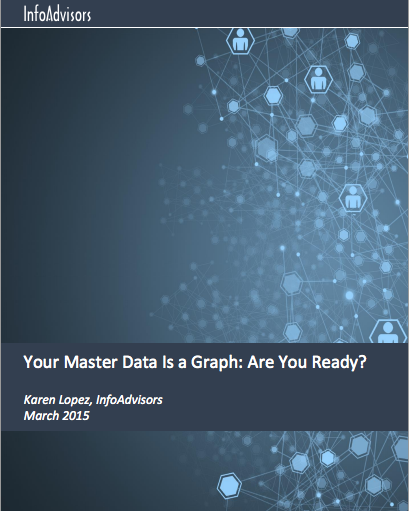 Download and read the white paper Your Master Data Is a Graph: Are You Ready? to learn why your master data is a graph and how graph databases like Neo4j are the best technologies for MDM.